According to the US Department of Energy, more than half of the energy cost of the average Dunwoody home goes into heating and cooling. Furthermore, 30% of the heating and cooling cost is the result of air infiltration. One of the newest advancements in home products, expanding spray foam insulation, can significantly reduce the amount of air leakage within your Dunwoody home. Air leakage is often most noticeable during winter months. This is because it is during the winter that the maximum temperature difference exists between the warm interior and the cold exterior of a house. This maximum difference in temperature causes a large pressure discrepancy between a home’s inside and outside environments. In turn, this pressure discrepancy causes the warm inside air to be pushed through any small gaps to the cold laying outdoors. Therefore, these small gaps allow the heat which you paid for to escape from your house. Expanding spray foam insulation can plug these small holes. 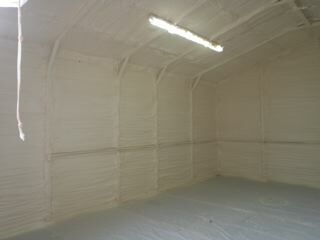 The spray foam insulation accomplishes this task by expanding into the small gaps onto which it has been sprayed. 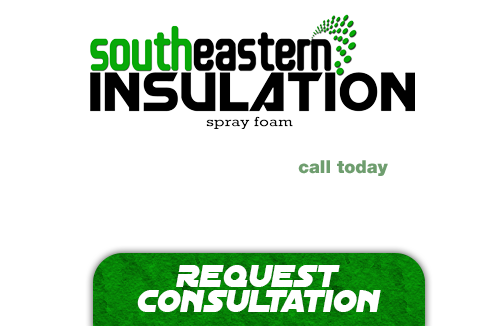 When applied safely by a Southeastern Insulation professional, spray foam insulation can substantially reduce heating and cooling costs. This insulation will also help protect the environment, by filling small gaps, holes and cracks through which air may be exchanged between the interior and exterior of a home. If you’re looking for a professional Dunwoody Spray Foam Contractor, then give us a call today at 678-561-FOAM or complete our request estimate form.